Peel and grate cucumbers. Squeeze as hard as possible to remove water completely. Mash garlic with salt in a mortar. 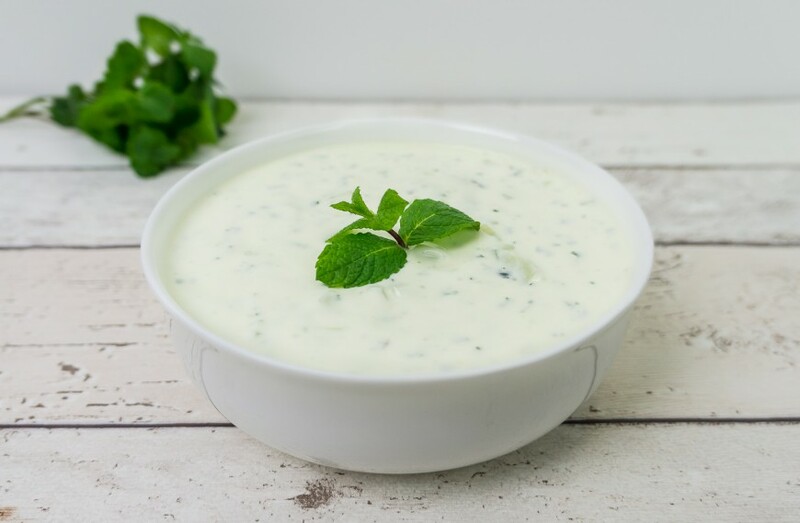 In a bowl, mix yoghurt with cucumbers and garlic. Slowly add vinegar and olive oil and combine well. Refrigerate until ready to use.